Breakfast Taco Tuesday: Bordertown viewing with Gustavo Arellano! Come to enjoy a breakfast taco with the author of Taco USA—Gustavo Arellano—and a private screening of Bordertown! 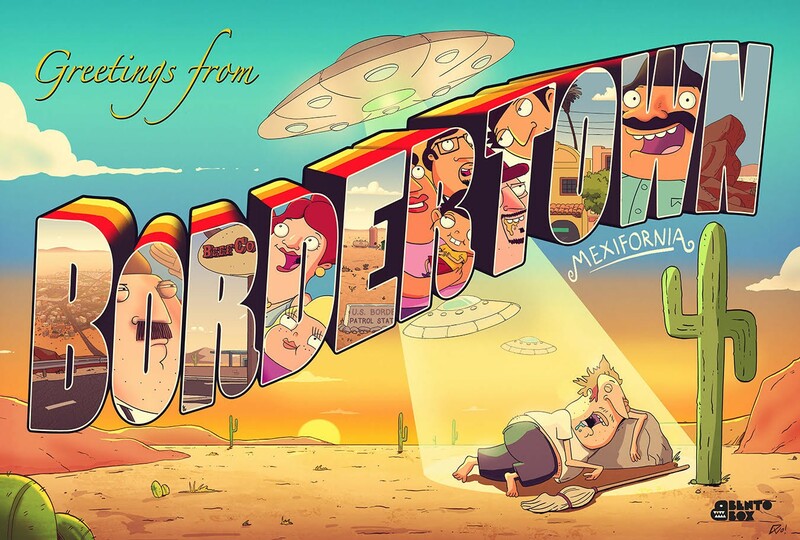 Bordertown is an animated sitcom, following two families living in a Southwest desert town on the United States–Mexico border. First season will premiere in January 2016. Gustavo Arellano is the editor of OC Weekly, an alternative newspaper in Orange County, California, author of Orange County: A Personal History & Taco USA: How Mexican Food Conquered America. He writes “¡Ask a Mexican!,” a nationally syndicated column in which he answers any & all questions about America’s spiciest & largest minority. The column has a weekly circulation of over 2 million in 39 newspapers across the United States, won the 2006 and 2008 Association of Alternative Weeklies award for Best Column, & was published in book form by Scribner Press in May 2007. Most recently, he was hired by FOX to be a consultant for Bordertown. Q&A to follow viewing of Bordertown! *Breakfast tacos are limited—first come, first serve!